Target has teamed up with Stockholm-based company Toca Boca to offer a gender neutral clothing line for kids. 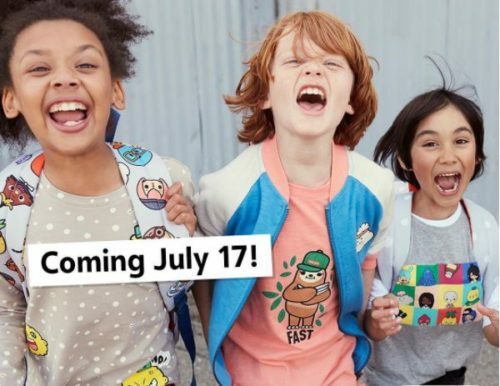 The line of children’s clothing will debut next week at Target stores. Toca Boca, launched in 2011 as a mobile gaming app for kids, chose to partner with Target due to the company’s progressive policies. In 2015, it announced it was doing away with labeling the toy section as “boys” and “girls.” Last year the company announced it would spend $20 million to add gender-neutral restrooms to all of their stores. “Our vision for the clothing line was to do what we’re good at at Toca Boca, which is play, and translate that into everyday experiences for kids,” Mathilda Engman, the company’s design director, told Fast Co. Design. “We worked with all the values and principles of how we design things in the digital world and translated that to the physical world,” she added. In addition to clothing, items such as backpacks, pillows, and bedding. The line was developed in consultation with an external diversity board comprised of professionals hailing from the academia and non-profit worlds, with a focus on gender, ethnicity, race, and sexuality, Digiday reports. “The internal diversity board we work with uses a checklist to determine that all the products really are inclusive, that kids don’t feel excluded and that there really is something for everyone,” Ingeborn said. Toca Boca joins a number of other companies in offering gender neutral clothing, including Free to Be Kids, Jessy & Jack, and Muttonhead.